When you think of the history of the Philadelphia Eagles two names stand alone at the top of the list, Steve Van Buren and Chuck Bednarik. There have been several other players that have become Hall of Famers like Pete Pihos, Alex Wojciechowicz, Bert Bell, Tommy McDonald, Sonny Jurgenson, Mike Ditka and Bob Brown but none was as good and well respected as Van Buren. 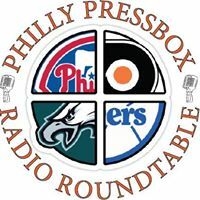 If you took a poll of who’s the greatest Eagle player of all time it would be a split the vote between Van Buren and Bednarik. With that said, the Eagles lost one of their greatest players when Van Buren died on Thursday at the age of 91. 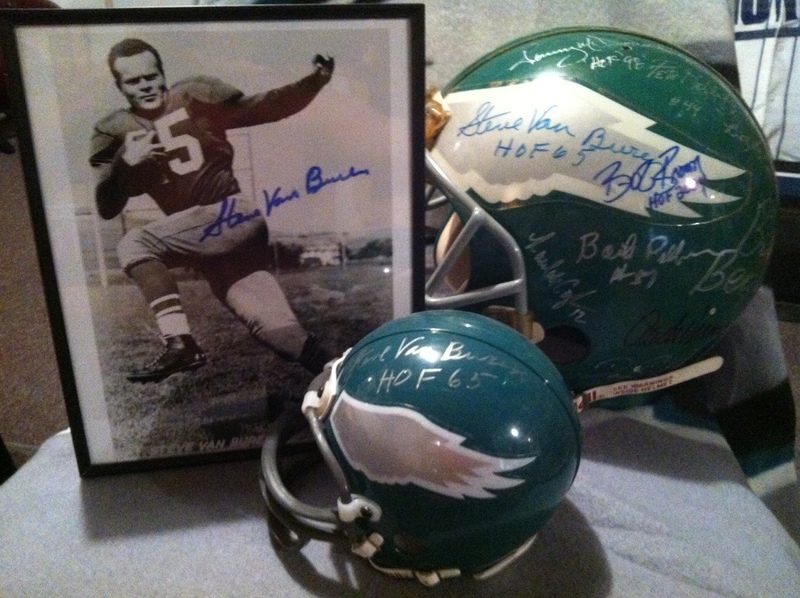 Van Buren was a 1st round draft pick, number 5 overall, of the Eagles in 1944, out of LSU. Heisman Trophy winner Angelo Bertelli was chosen first from Notre Dame and Otto Graham, consider by many as the greatest quarterback of all time, was number four out of Northwestern. This in itself is impressive considering that Van Buren was cut from his high school football team as a sophomore. Van Buren went on to make the All NFL Team, they didn’t have the Pro Bowl at the time, every season from 1944 through 1950. During that time he led the league the Eagles to two championships in 1948 and 49. He led the league in rushing 4 times, 1945, 47, 48 and 49, rushing for over 1,000 yards twice. He led the league in touchdowns 4 times, rushing yards per game 5 times, total yards from scrimmage twice and total touchdowns in a season twice. He also led the league with the longest kickoff return in a season 3 times, yards per kickoff return twice, and total kickoff return yards once. He also returned two punts for touchdowns in his career. To top it off, Van Buren played defensive back, where he intercepted 9 passes and recovered 14 fumbles in his career. When it came to the 1948 and 49 championship games Van Buren was the brightest star in leading the Eagles to victory. 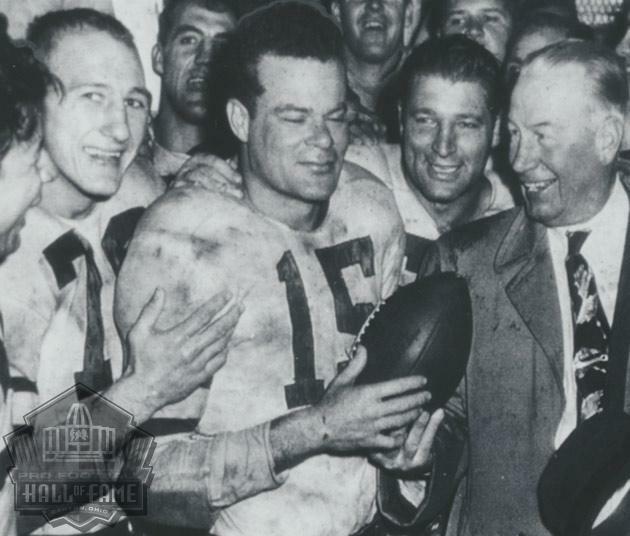 In the 1948 game against the Chicago Cardinals, Van Buren scored the only touchdown in the Eagles 7-0 victory. He rushed for 98 yards on 25 carries and scored the game’s only touchdown in a blizzard. He followed up that effort in the 1949 game by rushing for 196 yards on 31 carries, leading the Eagles to a 14-0 victory. When Steve Van Buren retired he was the All Time leading rusher in NFL history with 5,860 yards and scored 77 touchdowns. He was elected to the Pro Football Hall of Fame in 1965, only the 3rd class inducted to the Canton shrine. In 1994, he was selected to the NFL’s 75th Anniversary Team as well as the 75th Anniversary All-Two-Way Team and the 1940 All Decade Team. To put this honor in perspective, following are the other running backs selected; halfbacks, Van Buren, Walter Payton, Gale Sayers and OJ Simpson with fullbacks, Jim Brown, Marion Motley and Bronko Nagurski. Obviously, a tremendous group of football players! Pretty much says it all!!! !